"I am against you, Gog, chief prince of Meshek and Tubal. I will turn you around and drag you along. I will bring you from the far north and send you against the mountains of Israel. Then I will strike your bow from your left hand and make your arrows drop from your right hand. On the mountains of Israel you will fall, you and all your troops and the nations with you. I will give you as food to all kinds of carrion birds and to the wild animals. You will fall in the open field, for I have spoken, declares the Sovereign Lord. I will send fire on Magog and on those who live in safety in the coastlands, and they will know that I am the Lord." God makes it clear that he is the one who brought the enemy down from the North and into the land of Israel, but he did this in order to destroy them there. Gog and his men will not have time to retreat. After entering Israel, their weapons will be knocked out of their control. Whatever the modern counterpart of an ancient bow and arrow may be—it will be rendered useless against Israel on that day. Hordes of soldiers will die in the mountains of Israel and on the battlefield. Birds and wild animals will immediately begin to devour their carcasses. As the army is dying in the mountains of Israel, a fire will break out back in the army’s homeland of Magog. Magog isn’t the only place struck by the fire of God. Other nations will watch as fire breaks out in their cities and along their coastlands. Finally, the people of the world will recognize that God is who he’s always said he is. Even the current secular attitude of the Jewish people will change. Their deliverance from Gog will remind modern Jews that they are still God’s chosen people. They will recognize that their existence as a nation is possible only because the Lord willed it. After Gog’s destruction, the people of Israel will gather up Gog’s weapons to burn them. We learn that Israel will not need to produce energy for seven years because the burning of these weapons will supply their energy needs. The weapons will be disassembled to remove some element of power that can be converted into a usable energy source. Gog’s army had intended to loot Israel and “carry off silver and gold and take away livestock and goods and seize much plunder.” Yet ironically, the dead army of Gog’s coalition will instead be looted by the people of Israel. The number of dead will be so great that it will require many Israelites to be employed full-time for seven months just to bury them. Life in Israel will stop until the remains of the hordes of Gog have all been carted away. The date that God overthrew the armies of Gog will become a national holiday in Israel alongside other Jewish holidays like Passover and Hanukkah. This great and final war may be God’s way of dealing with terrorism once and for all. In the end, the terrorist states will fall just like the Assyrians and the Babylonians did. Katabrabeuo (Gr) – rob (Eng) – the Greek word katabrabeuo is a compound word formed by placing kata, meaning “against”, in front of brabeus, meaning “an umpire.” Together kata-brabeus means “against-umpire” or “against-judgment.” This refers to a “judgment against” or a “ruling by an umpire that is against” someone. Katabrabeuo is found in Colossians 2:18 as a warning to believers to know the Truth and apply the Truth correctly, instead of letting the religious opinions and false theological concepts of men “rule against” you. By allowing confused religious men to katabrabeuo (“umpire against”) you there will be a loss of eternal rewards. The influence of poor judgment and decision making will steal the prizes the Lord is able to award to those who know and practice the Truth. 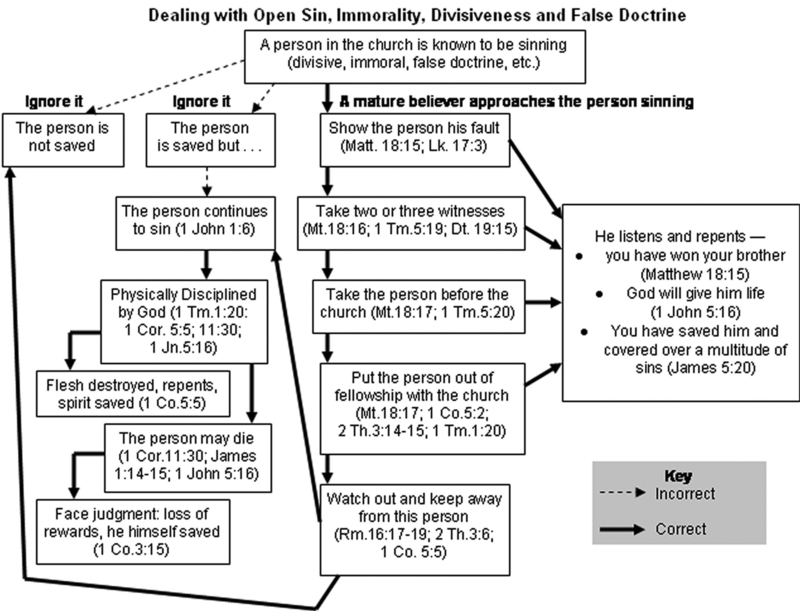 Have I placed faith in Jesus Christ for my eternal salvation? Do I trust Christ in my daily life and turn to Him in current situations? I will trust Jesus Christ today and for my future. 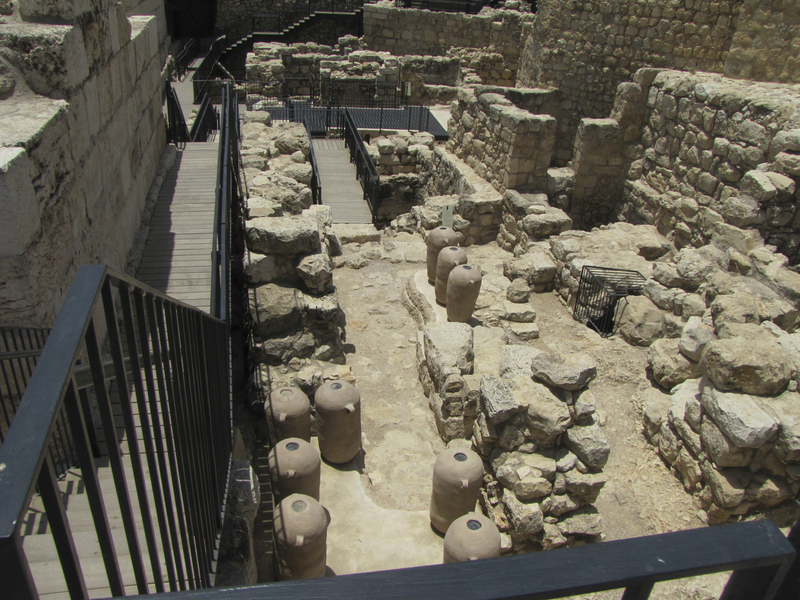 Recent excavation on the Ophel has revealed Old Testament walls and gates. Included in one of the gates was a store room with pithos (singular pithoi), or large storage jars for shipping of storing bulk oil or grain. In Isaiah 14:12, the phrase “morning star” is the translation of the Hebrew word helel which is translated into the Septuagint (Greek version from 200 BC) as eosphorus or “dawn-bearer”. The Vulgate (Latin version from 400 AD) uses lucis ferre (lucis means “light” and ferre means “to bring”). In 1611, the English King James (Isaiah 14:12 in KJ) translators brought the Latin phrase lucis ferre into English as “Lucifer.” Thus, Helel, “Lucifer,” or “Morning Star” is an angelic personality from the angelic class of the cherubim. (6) Possession of the household gods or the ancestral images was evidence of ownership of property as in Gen. 31:30-35.
or like vinegar poured on soda, is one who sings songs to a heavy heart." How the Lord has covered Daughter Zion with the cloud of his anger! He has hurled down the splendor of Israel from heaven to earth; he has not remembered his footstool in the day of his anger. In fierce anger he has cut off every horn of Israel. He has withdrawn his right hand at the approach of the enemy. He has burned in Jacob like a flaming fire that consumes everything around it. The Lord has done what he planned; he has fulfilled his word, which he decreed long ago. He has overthrown you without pity, he has let the enemy gloat over you, he has exalted the horn of your foes. indeed, he has turned his hand against me again and again, all day long. He has made my skin and my flesh grow old and has broken my bones. He has besieged me and surrounded me with bitterness and hardship. He has made me dwell in darkness like those long dead. Even when I call out or cry for help, he shuts out my prayer. He has barred my way with blocks of stone; he has made my paths crooked. he dragged me from the path and mangled me and left me without help. He drew his bow and made me the target for his arrows. He pierced my heart with arrows from his quiver. I became the laughingstock of all my people; they mock me in song all day long. He has filled me with bitter herbs and given me gall to drink. He has broken my teeth with gravel; he has trampled me in the dust. I have been deprived of peace; I have forgotten what prosperity is. I remember my affliction and my wandering, the bitterness and the gall. It is good for a man to bear the yoke while he is young. Let him sit alone in silence, for the Lord has laid it on him. Let him bury his face in the dust— there may yet be hope. For no one is cast off by the Lord forever. For he does not willingly bring affliction or grief to anyone. to deprive them of justice— would not the Lord see such things?